This topic contains 1 reply, has 2 voices, and was last updated by Mike Meynell 4 years, 10 months ago. 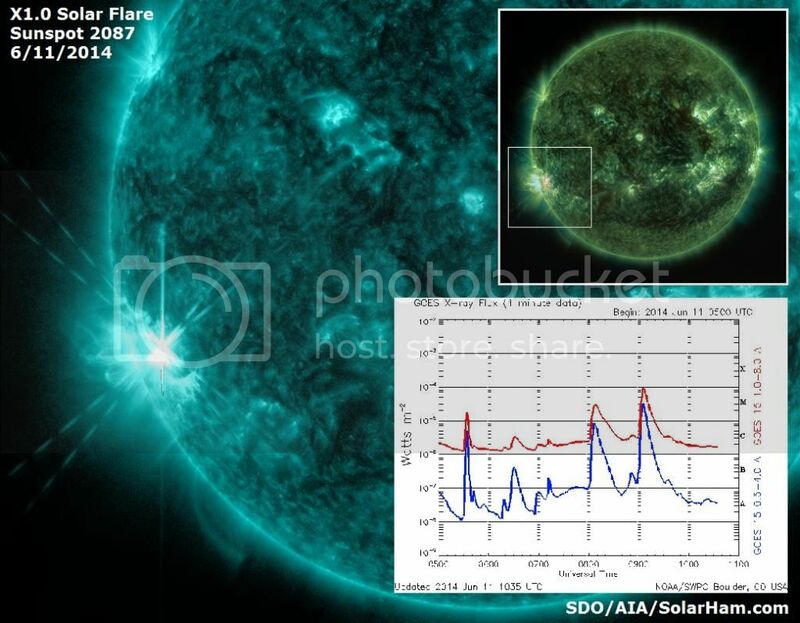 Just in case you have not been keeping an eye on the VLF Receiver page the Sun has been very active over the last couple of days with X2.2 and X1.5 magnitude solar flares detected yesterday and one X1.0 flare detected so far today. These represent to greatest magnitudes detected since we began our daily recordings nearly a year ago. If you have been regularly checking the page you might have noticed that the recordings for some recent days are missing. This is due to wifi connection problems resulting from moving the VLF antenna and receiver from “The Shed” to the loft, and updating the Raspberry Pi’s Raspbian os. Currently working on an improved chart display that will allow the data from other VLF receivers to be plotted individually and collectively. As suggested at the last Radio Group meeting, in April I emailed to the group a short note on how I set up the Flamsteed VLF receiver in the hope that it would assist/encourage other Radio Group members to do the same. How goes it? The note which Clive refers to on how to set up a VLF receiver has now been placed on the Flamsteed website here. Apologies for the delay in putting this online!